Events — Are You Dying? Check out any upcoming events where you can find #AreYouDying content! A night of art, music and love celebrating New York City artists and their craft. Look at some photos from past events. The First Annual #FivePointsFestival curated by Clutter Magazine and presented by Midtown Comics!!! #AreYouDying 's first ever convention!!! Catch Are You Dying showing new work and performing April 2nd @ Paint & Chill run by HomegrownNYC. Had a lot of fun in with Ash&Nell at their first gallery. Took place at Raw Space in Harlem, NYC and what a great space with some great vibes! 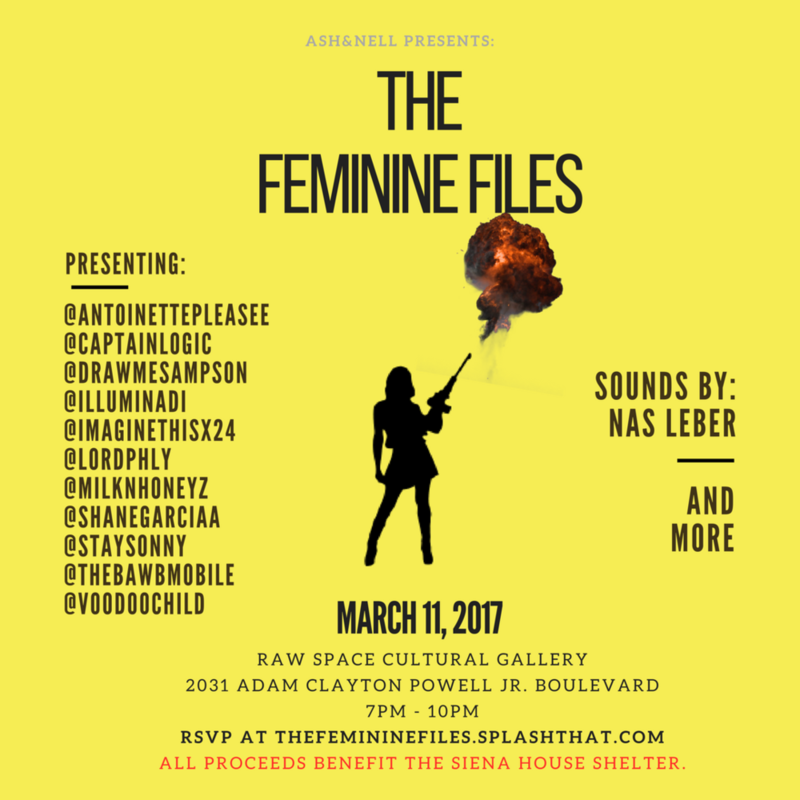 This gallery was put together to celebrate women of color and a percentage of the proceeds were donated to The Sienna House Shelter. The very first Soul Saga was an absolute pleasure to be apart of. Soul Saga is the first in a series of musical performances in which we bring two artists together to craft a unique experience for our audience. This first show happened at The Shrine in Harlem, NYC. Headed back to Caelum Gallery in Chelsea, NYC for a fantastic night with Kadija Zuniga and many other talented artists!!! There was an amazing turnout and some super dope performances from some new friends.